Please join us for the 18th Annual Clackamas Watershed Celebration. 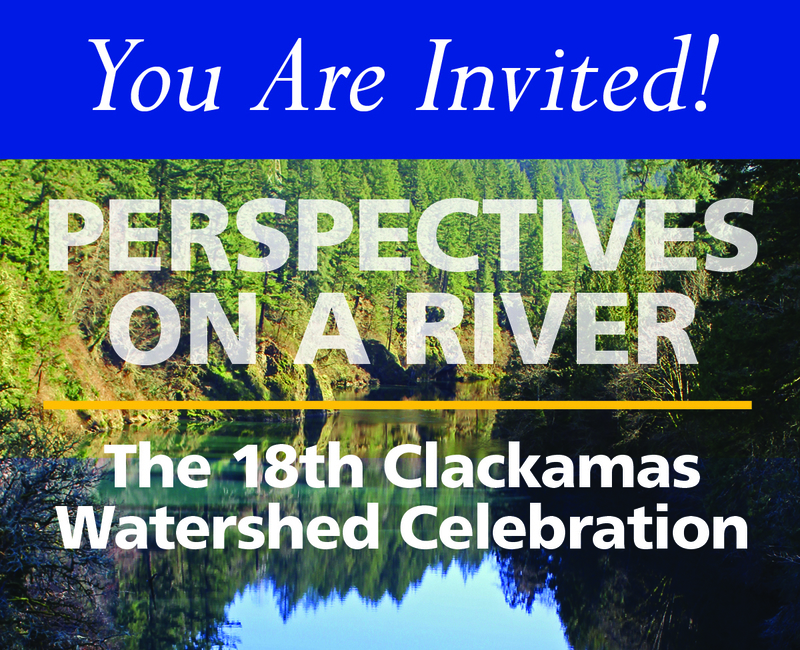 This year we explore a variety of perspectives on the watershed, including 4 recent major projects. We’ll hear from a variety river users, from whitewater paddlers, woodlot owners, farmers, fish biologists and weekend recreational users. Our keynote speaker will be Curt Melcher, Director of the Oregon Department of Fish and Wildlife. *Please note that this is the second Thursday of December.